IAHV supports 2 homes in Sri Lanka for disadvantaged, abandoned or orphaned children, in coordination with Art of Living Sri Lanka. 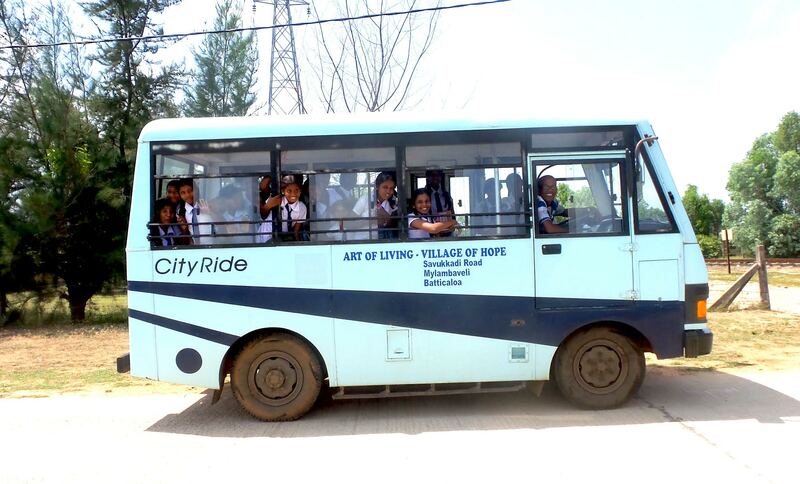 Each provides homes for about 23 children aged from about 8 to 18. 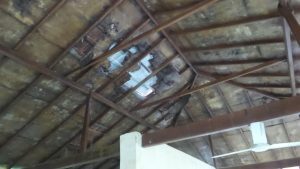 IAHV has funded the repair of significant dilapidations putting 5 new roofs on the girl’s dormitories in Batticaloa (Village of Hope Girls Children Home), contributing also to the installation of a new shower area at the Boys home in Wellawaya. Donations for running costs have also been provided when required. Much more is needed. 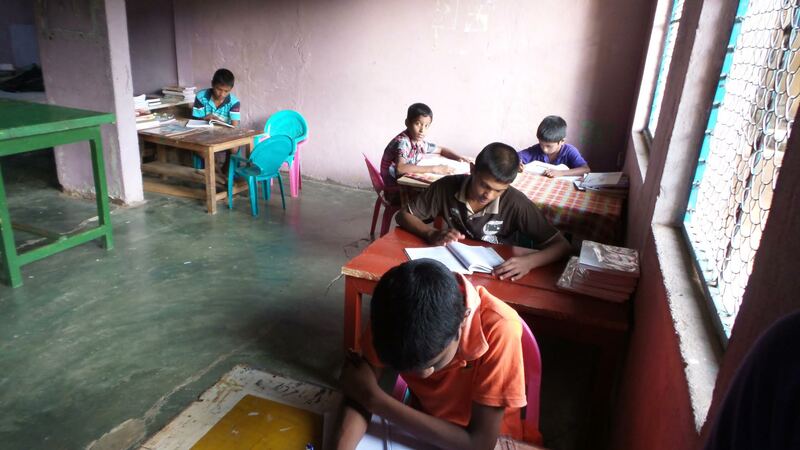 These children are ambitious to do well in the world and with help and support can do so to rebuild the fractured society of Sri Lanka still in the aftermath of war. The prolonged and bloody civil war in Sri Lanka, and the Tsunami left a huge number of orphaned and homeless children in Sri Lanka from all communities caught up in the conflict. As a result there was a rapid growth in children’s homes there. Huge numbers of children were orphaned or abandoned and taken into residential care. Now several years on the majority of those children have become adults. However the need for secure, caring, comfortable children’s homes remains. 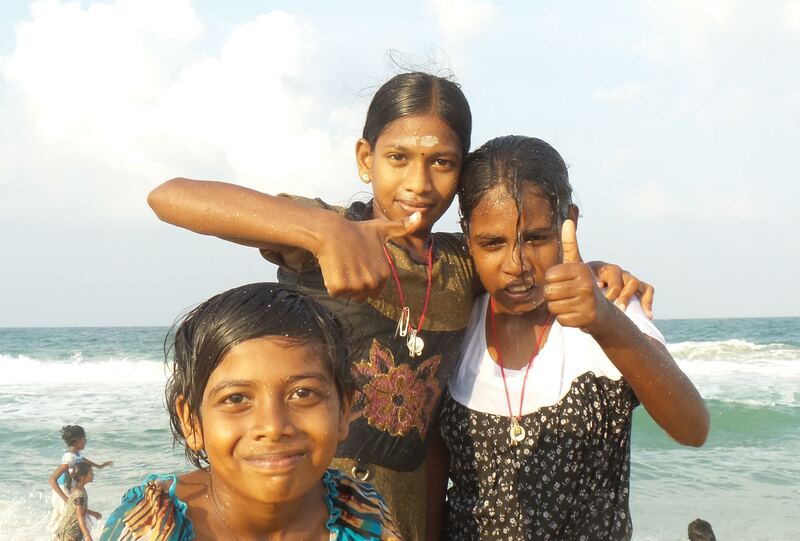 Sri Lanka is still suffering the after effects of the conflict, social and societal breakdown, poverty and trauma. There are many children still badly affected and in need of residential care. 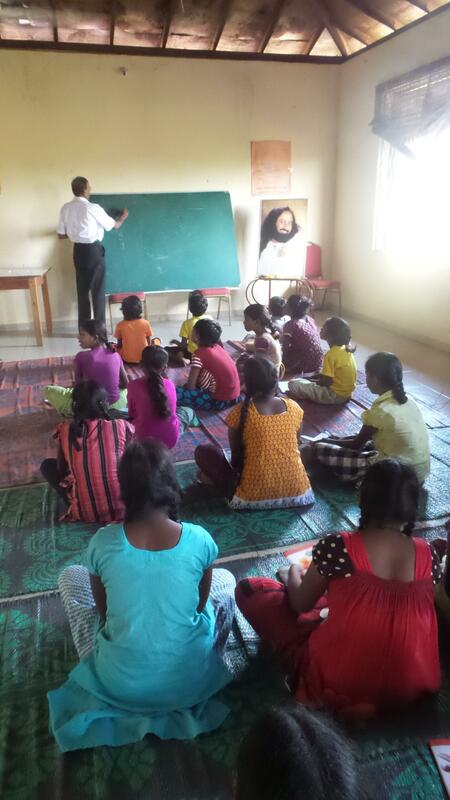 Confronting this need IAHV’s sister organization, The Art Of Living Foundation, (AOL) (which played a very active part in helping to promote a peaceful resolution of the conflict and the emergency relief work after the Tsunami) took over 2 children’s homes a few years back. 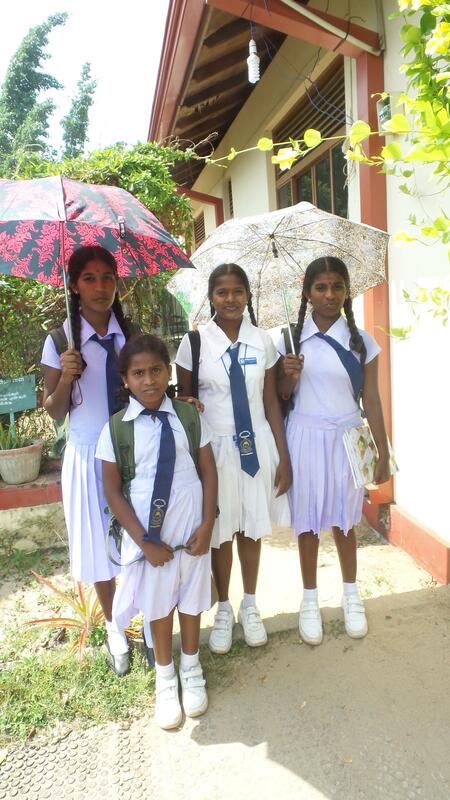 Batticaloa girls’ home in the North East of the island and Wellawaya boys’ home in the south. 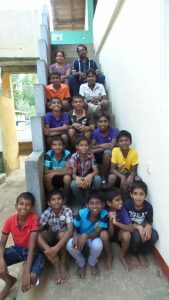 The ethos of the homes is to provide a caring, secure, value based home environment for the children to grow up in. 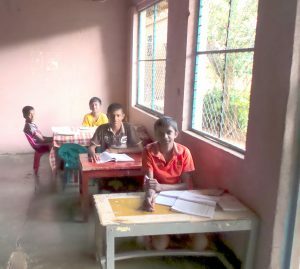 The children attend the local schools and are given all the home support needed do well in their education, to prepare for life in the community, and to be strong, and engaged members of the wider community. 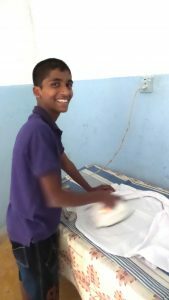 They are encouraged to help each other and to participate in the daily domestic jobs around the home, and also to learn useful vocational skills such as computing, and English. They also learn meditation practice, and the benefits of yoga. The Immediate Need for support and funding. Maintain and develop the infrastructure of the buildings, so that they are of good modern habitable standards, safe, dry and cared for. A challenge faced is that the original buildings have become dilapidated, and many leak badly in monsoon rain. They are much in need of renovation. See more information below. Provide extra vocational and skills training for the children. The children attend local schools but further educational support within the home environment is most desirable to supplement that. 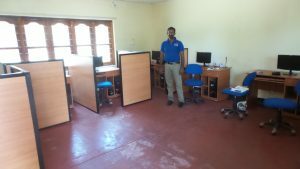 They are very eager to learn, and with additional home support in computer training, English language skills etc they can be provided with the essentials to be able to gain good remunerative work when they leave. This is to expand the homes to be able to provide a secure home for many more children. In time it is hoped to use the land, resources and positioning of the sites and homes so that they are not only self supporting, but also can become centres of excellence and central hubs of community support, and education, health, welfare, self -sufficiency and empowerment to help rebuild the impoverished, largely rural, shattered communities that surround them. AOL took over the 12 acre site at Batticalloa in Oct 2009 . 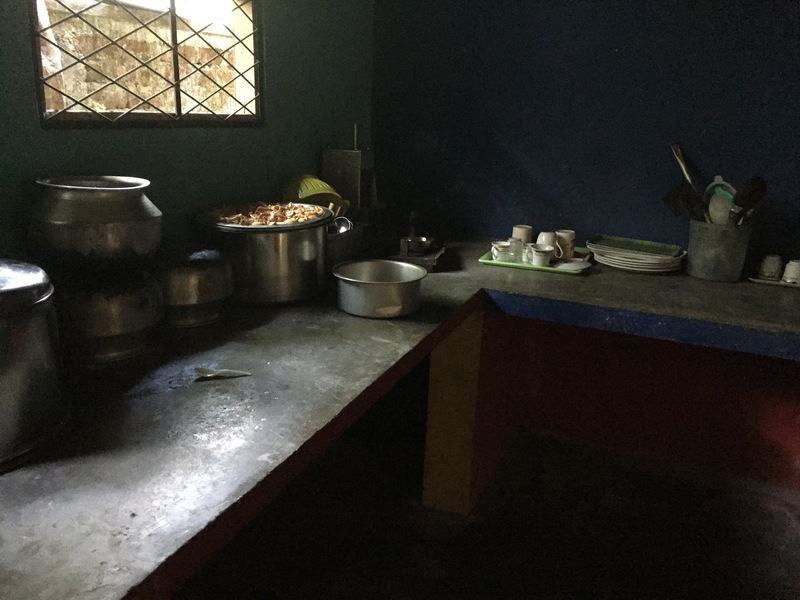 The children’s home originally housed over 40 underprivileged girls, but this number has reduced through dilapidation lack of resources to about 23. They would like to expand again and provide for more if they had the resources to do so. The children are provided with all household living and learning assistance on a daily basis. The children are directly admitted to the care and custody of the homes by the local Child Probation Commissioners. Some are referred by relatives for a variety of difficult social and family reasons. The authorities pay a very modest sum for the keep each child they refer. Nothing is paid for the children who do not come through the Probation Service. Girls from VOH having fun on the beach close to home. The IT room and their volunteer trainer at VOH. The girls show great enthusiasm for IT and progress well. 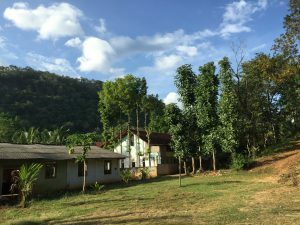 This home was adopted by AOL in 2009. It sits on a 4 acre site of which the home constitutes about a third. At its height Wellawaya was home to 67 boys. Now there are 22 and the optimal number they would wish to give homes to would be 50. 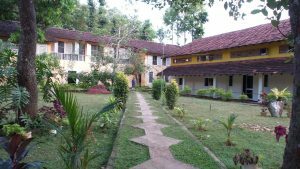 At the moment the capacity to take more is limited by the state of the accommodation and facilities. The accommodation for the boys was recently improved with a very useful donation from Japan for the refurbishment of a dormitory area with new showers and toilet facilities. 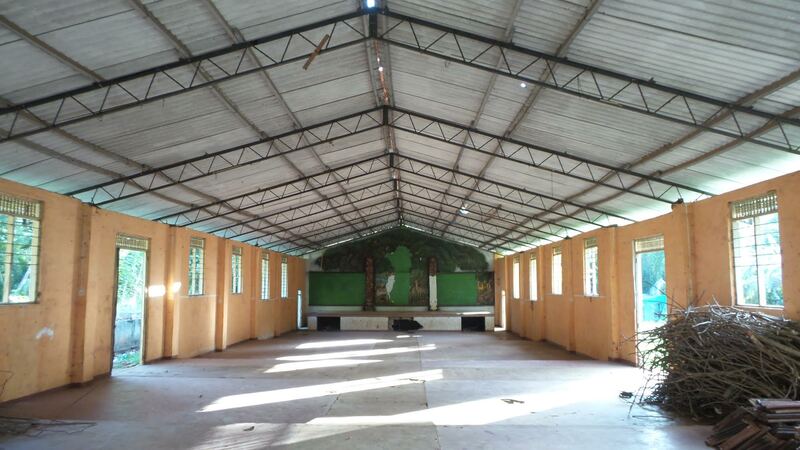 Other essential areas are now in need of refurbishment and IAHV seeks to support this. It looks grand but sadly only the right hand block ground floor is habitable due to delapidations of most of the rest. Ironing school uniform. The boys are encouraged to be self sufficient . 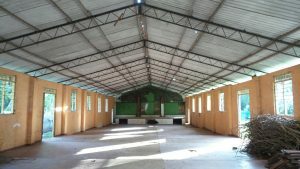 The hall belonging to the school which if refurbished could become a key facility for the boys and locally and help to make the home more self-sufficient . 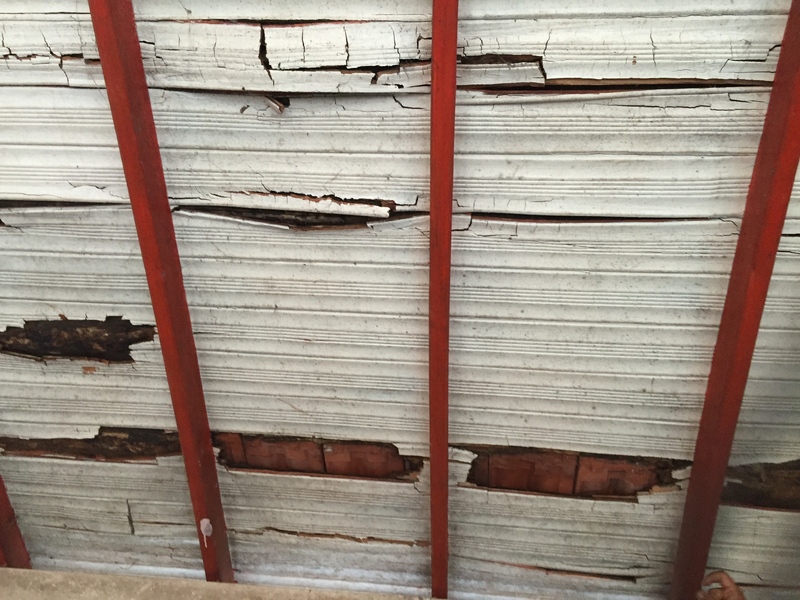 Many of the roofs in Wellawaya are in need of repair. 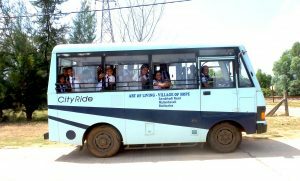 By donating for the support of the schools. By running fundraising events locally to support the homes. Introducing support for these children as a project in schools or other groups you and your children may be involved with. We can provide you with any further information.